Salut! Sunderland: So our last game of the season is your party as well as being our wake. Tell me what winning the title again means to you and how it compares with winning or wanting to win other trophies – CL, FA Cup, League Cup. 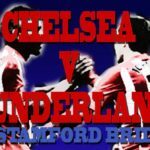 And hand on heart, has the Antonio Conte factor – clearly great manager, plenty of charm, apparent decency – overcome a lot of the traditional dislike neutrals harbour for Chelsea? 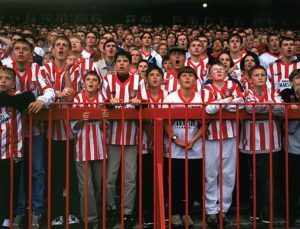 David Millward: it is hard to gauge what other fans think of us. But one small tale. After we drew at Burnley, a fan posted on their website that unlike Man City we were not diving all over the place and moaning. The disciplinary record has been astonishingly good. Apparently after Fabregas was sent off in a pre-season friendly, Conte sent him to the Liverpool dressing room to apologise. It has rather set the tone. Heroes, the lot of them. Cahill had a dreadful start to the season and emerged as a rock solid captain. Moses has gone from a journeyman to a key part of the side. Hard to pick a villain, perhaps the nearest is young Loftus-Cheek who has the ability but will have to work harder to match up to all the hype. And what about Alonso, one we ought to have tried to keep? Hang your head in shame, Monsieur Salut. Asked what he was like, you told me he was “not Chelsea standard”. Superb this season, he has confounded my prejudice about big full backs – I reckon they should be speedy homicidal midgets. From an impossibly long list of candidates, who have you most enjoyed watching in Chelsea blue – or wish you were old enough to have seen? 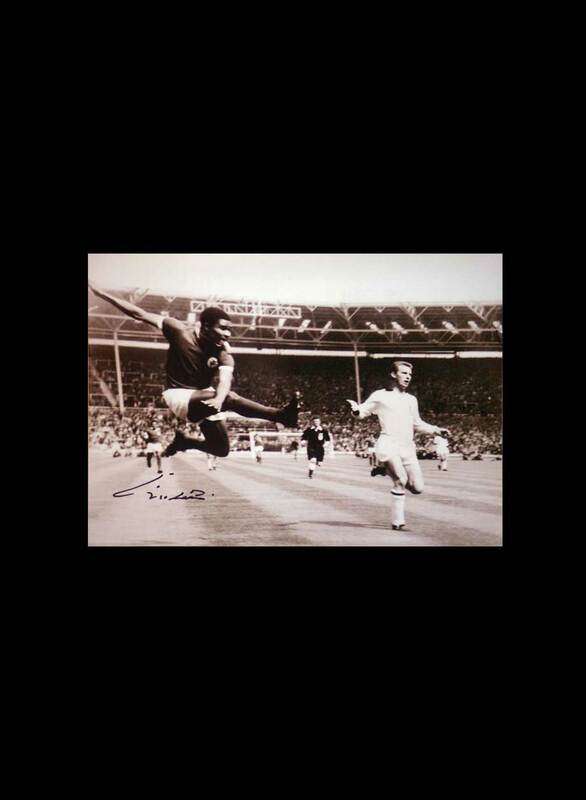 I still get misty eyed about Peter Osgood. Think of Ibrahimovic but thinner, quicker and far better. I would love to have seen Jimmy Greaves in a blue shirt or – for novelty value – Fatty Foulke, the gargantuan goalkeeper, the club’s first ever “custodian” who weighed in at around 25 stones. Who should never have been allowed near Stamford Bridge? It is always quite fun picking your worst ever side – I gather Gareth Hall could make Sunderland’s as well. Of recent players Djilibodji, going back a few years a special mention for an Australian called Dave Mitchell who was rumoured to be a striker and a raft of disappointing midfielders including Jerry Murphy and Colin Viljoen. 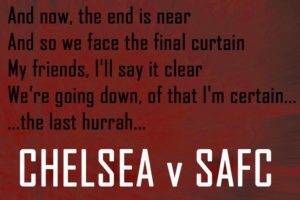 Best and worst moments as a Chelsea supporter? Best is easy, being in Munich with the missus to win the Champions League. 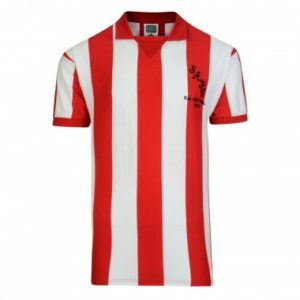 Worst is a toss up between being in Moscow to lose to Manchester United – who were greatly helped by the referee – and assorted relegations including a play off against Middlesbrough which culminated in a riot. It looks like it’s happening. But the long exile from Stamford Bridge will be painful. Clearly they need a bigger ground, but I wish there was a simpler solution. What about Sunderland? Did you see our predicament coming? Is it good riddance, or sad to see you go? Being exiled in New England it is hard to be completely up to speed. But I had picked up a sense that there was a cultural problem at the club going on for years, so there was a sense of inevitability. Bit sorry to see them go, if only for the sake of Monsieur Salut. 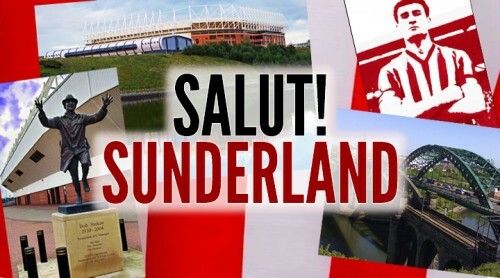 Any other thoughts on Sunderland – the club, the fans, city and region, David Moyes, Djilobodji? 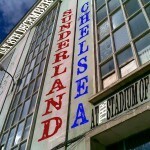 Sunderland have played a bigger part in my Chelsea supporting life than almost any other club. 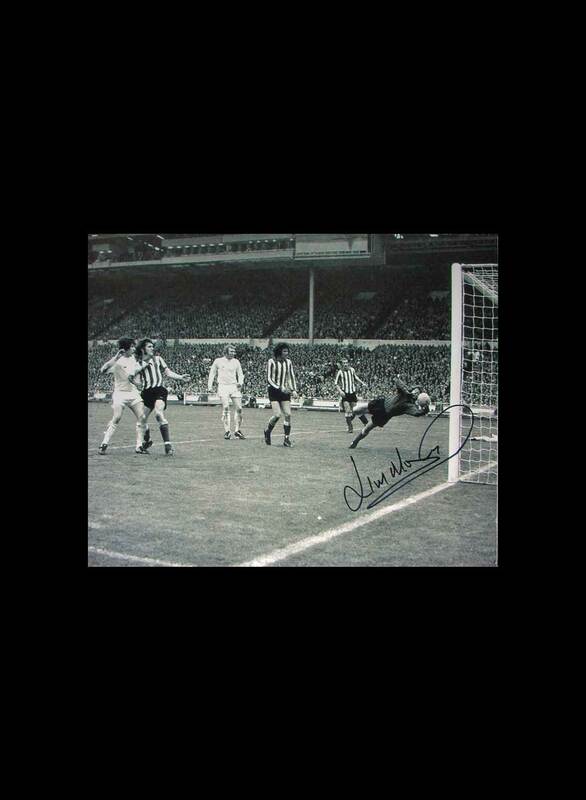 The first game I was allowed to see on my own was in 1964, when we won 3-0 and Sunderland had a 15-year old goalkeeper. My friendship with Monsieur Salut started around the time of the memorable Milk Cup – or whatever it was called in 1985. Obviously we were robbed, the police horses were interfering with play. Chelsea’s response to the defeat was, I will admit, less than Corinthian. Alas I missed one of Chelsea’s greatest ever goals, Poyet’s volley against Sunderland because I was reporting from Belgrade. I saw a game at the Stadium of Light where I was bemused by the team coming out to Prokofiev’s Dance of the Knights. We won comfortably but Sunderland fans celebrated because Newcastle lost and were relegated on the same day. I do have a soft spot for Sunderland who have been simple enough to pay us money for both Gareth Hall and Djilibodji – both of whom would make my all time rubbish Chelsea team. I suspect David Moyes’s “dogs of war” approach will be useful next season. As for the city, my abiding memory is after an England game against Turkey, where the crowd seemed to mingle with some teenage girls going out clubbing in the shortest skirts I have ever seen. Minimum expectations for next season? How will we fare in the Championship? If you hang on to Pickford and Defoe you should come back up, albeit via the playoffs [so League One the season after – Ed?]. Diving: every club has cheats – it is time to stop worrying about it and just get players to do it better or is it still worth trying to stamp out? Diving is a lot more complicated than one might think. There are times when a player, who is tripped, will go down rather than trying to stumble on. However, I think the most egregious examples of faking and cheating to get a player sent off – grabbing one’s face when there has been no contact – should trigger a three game ban. I am more tolerant of referees than most fans. They will always make mistakes. Refereeing by and large is very good. Martin Atkinson was outstanding in the FA Cup semi final. So I judge referees by their overall approach, rather than one or two decisions. As for worst there are three candidates: Thomas Ovrebo’s shocker in the Champions League semi final against Barcelona. 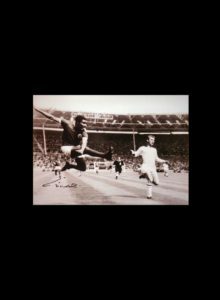 Then there was Lubos Michel in the final against Manchester United – denied a last minute penalty overruling his frantically waving linesman. Let Scholes get away with a blatant elbow on Makalele and later sent off Drogba for the gentlest of slaps on Vidic. But the worst performance by a long way was Clattenburg v Tottenham last season. He clearly made a judgement call that he did not want to be the referee who “cost Tottenham the title”. It meant he allowed Spurs to kick Chelsea off the park ignoring a wave of assaults. Part of a referee’s job is to ensure the safety of the players, it was a miracle that there were no serious injuries. One thing your club or the football bigwigs should do to improve the experience of ordinary fans? That is easy. It would be nice to stop treating fans as extras on a film set for the TV cameras. Very simply that means consulting Network Rail before scheduling games so fans can get to and from the match. A few years ago we played Fulham in an FA Cup semi-final at Villa Park on a Sunday evening, when there were no trains. I went on to the Fulham website and floated the idea of playing the game at Stamford Bridge – but with each team getting half the tickets, there was some support for the idea. My other big change would be that tickets for cup finals et al are shared between the competing teams and not dished out to the “wider football family ” – because the “wider football family” flogs the tickets to touts. I would also get rid of the obscenity of commercial logos on shirts. I support Chelsea, not Yokohama tyres. Will you be there? What will be the score? I would love to be there, but I now live in Maine. 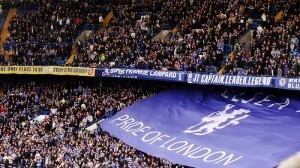 I miss the ritual of going to Stamford Bridge terribly. So I will watch the game on NBC. It is hard to predict the score because I reckon we will put out a weakened team. 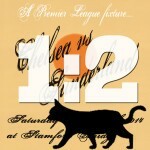 I will go for 2-0 Chelsea. * David Millward on himself: I was brought up a couple of miles from Stamford Bridge and have supported the team week in week out since 1964. 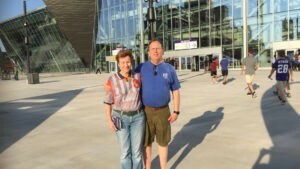 My American wife (now also a Brit) has been a fan since the mid-1970s, me having dragged her to the Bridge while we were studying at Cambridge.Living in the US I get over to see a game or two in the UK, but we have also trekked around the US to see them play in Charlotte, North Carolina and Minneapolis. As members of the CIA (Chelsea in America) we met Gus Poyet at a gathering in Vegas. For my sins I am a journalist for the Telegraph living in a country now run by a complete madman. Tags: Chelsea, Premier League, Sunderland, Who Are You?